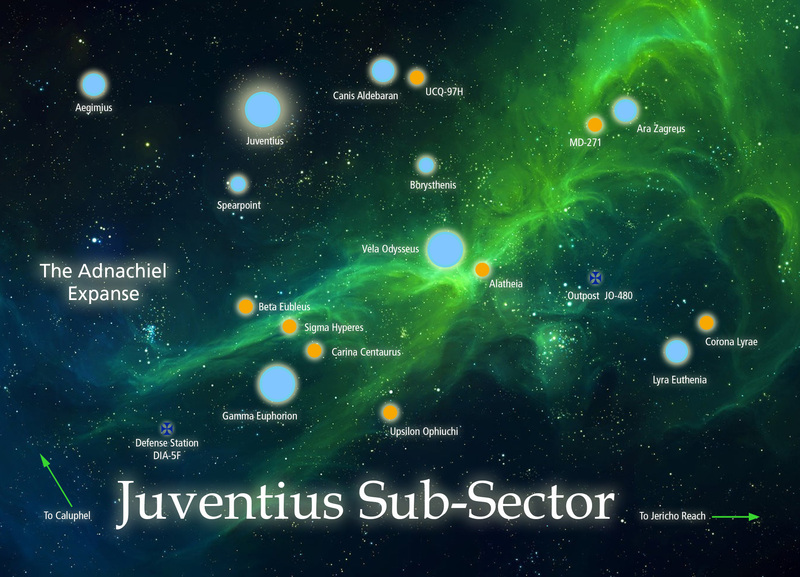 Here is a map showing the major star systems of the Juventius Sub-Sector, home of the Juventius Free Regiment (John’s renegade [?] Imperial Guard faction in our Caluphel Awakenings campaign). Look for future game reports and mini-campaigns set in the sprawling worlds of the Juventius Sub-Sector!